Night by night, I’ve been trying to shut my eyes and feel the delight of sweet dreaming. For a long time, this feeling has been a real luxury for me. Can you imagine, every morning I start with despair, as with first daylight my hopes to have a shuteye simply vanish? 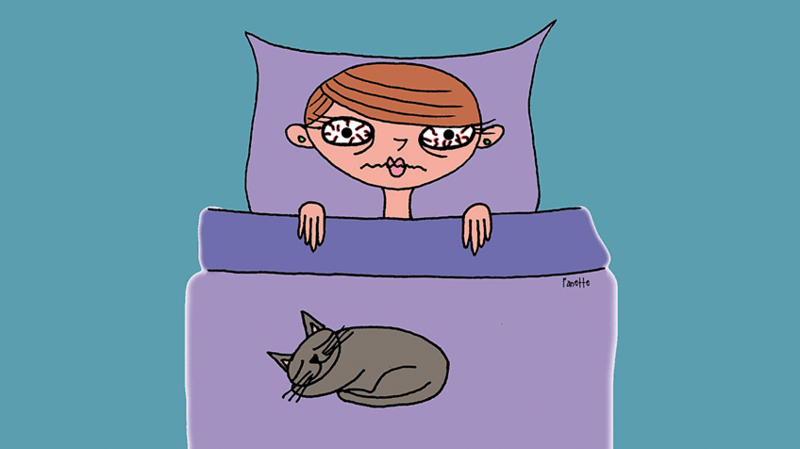 What to do when you can’t sleep or how to fight this disturbing condition? There are thousands of men and women who are the victims of the disease. Scientists notice the highest rates of insomnia problems among the citizens of America. More than 30 percent of the population go through this awful experience every year. For most of them, it is a regular thing, but for some insomniacs, the worst symptoms appear within certain seasons. Depending on the characteristics of the condition, we are going to work out a strategy. Probably, you are reading it at a midnight and this is your only reliance to get over the everlasting habit. So, let us develop an approach that would work for you. It is impossible to win a battle until you know anything about your enemy. That is why we would like to start with a definition of the sickness affecting you. Insomnia is the state of your body when you are unable to sleep. During such a disorder, an organism cannot get the needed time to rest and renovate the powers to stay upbeat. By the way, insomnia may influence not only a physical state, but also a mental one. It happens that people become not resistant to stress and prone to depressions. Keep track of how much you work during a day, when you go to bed and what time you are awake. In other words, your aim here is to be aware of a precise data on the daily routine. This would give you a chance to find somehow the connections between the way you behave and the reaction of your body. It may be a right destination in the search of the exact reason for the disorder. Finally, you could make some conclusion and formulate a personal point of view referring to the methods of treatment. Cognitive Behavioral Therapy for Insomnia is a quite popular treatment. The other way, it is called CBT-I. The key factor for it is self-control and psychological techniques. For example, you should start to think only positively about sleeping. Not less important is the environment where you might fall asleep. Do your best to create the most comfortable and peaceful spot. Take it seriously and care about a regular bedtime routine. You can write down a schedule and follow it. One more good idea is to give up harmful habits, especially smoking. If you want to know more, you can find out many interesting facts about the therapy in specialized literature. Sure, if coffee is a very important drink for you, you need to limit its consumption or even exclude it at all. Additionally, the ration itself should be healthy. As you have understood, there are thousands of details that might be the causes of insomnia. So, get ready for a long battle for a healthy sleep.